Nearly 70 years after the fall of the Nazi regime, the far right and even fascism are again a significant threat in Europe. In the May 2014 European Parliament elections, organisations with a range of fascist, racist and anti-migrant ideologies won significant votes in a number of European countries, including the National Front topping the poll in France and explicitly Nazi parties winning seats in countries like Germany and Greece. The global economic crisis of 2007 has given renewed energy and confidence to racists and fascists, while the left has generally been unable to give hope to the millions affected by the crisis. 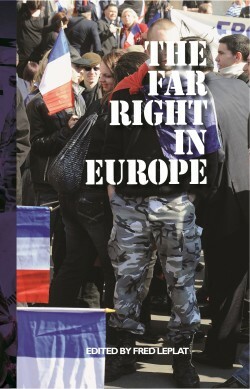 This book is a survey of the far right in seven countries of Europe with different political histories: Britain, Bulgaria, Denmark, France, Hungary, Italy, the Netherlands and Sweden. The survey, by activists and researchers from those countries, reveals a disturbing picture of far-right parties, some with a mass base, which have been able to drag the mainstream political parties to the right. This book is intended to be a contribution to understanding the nature of these far-right parties and of the threat we face. TOBIAS ALM – Tobias Alm writes about the politics and activities of the far-right and fascist organisations for a number of Danish publications. He works with Projektantifa in Denmark and Antifaschistische Infoblatt (AIB, Anti-fascist fact sheet ) in Germany. He is the joint author of Rechtspopulismus kann tödlich sein! (Right-wing Populism can be fatal), 2013, edition assemblage, Münster. 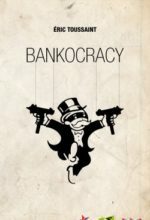 CHECCHINO ANTONINI – Checchino Antonini is a journalist, writer and activist on the anti-capitalist left. He has written detailed enquiries against police misconduct and abuse. 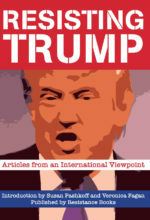 He has also reported on the origins of the Anti-Globalisation movement and follows the debate on the radical left. Checchino is one of the founders of the popoffquotidiano.it website. COMMISSION NATIONALE ANTI-FASCISTE, NPA – The Commission Nationale Anti-Fasciste (CNAF) of the NPA (Nouveau Parti Anti-capitaliste) monitors and analyses the activity and the propaganda of the far right in France and elsewhere. Through the publication of written material and the holding of seminars, the CNAF aims to educate members and sympathisers of the NPA on the dangers of the far right. The CNAF also publishes material at the blog tantquillefaudra.org. 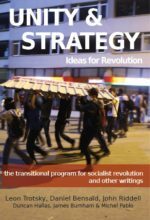 PHIL HEARSE – Phil Hearse, a former editor of several left wing journals, is a supporter of Socialist Resistance and Left Unity, and teaches communication and culture at a London college. ALEX DE JONG – Alex de Jong is co-director of the IIRE in Amsterdam. He is a member of the Socialistische Alternatieve Politiek (SAP), the Dutch section of the Fourth International, and editor of the website grenzeloos.org. MANUEL KELLNER – Manuel Kellner is a member of the Internationale Sozialistische Linke (isl, international socialist left, one of the two organisations of the Fourth International in Germany), and of the party Die Linke (The Left) and its anti-capitalist current within it. He is an editor of the monthly Sozialistische Zeitung. MICHAEL LÖWY – Michael Löwy is a member of the Fourth International, a Fellow of the IIRE in and a Research Director of Sociology at the Centre National de la Recherche Scientifique (CNRS), Paris. His books include The Marxism of Che Guevara, Marxism and Liberation Theology, and The War of the Gods: Religion and Politics in Latin America. 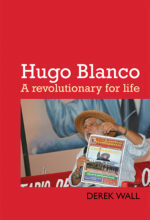 He is joint author (with Joel Kovel) of the International Ecosocialist Manifesto. MARTIN MARINOS – Martin Marinos is a PhD candidate in Media and Communication at the University of Pittsburgh, Pennsylvania USA. He is a member of New Left Perspectives, Sofia, which organises debates and seminars, conducts critical research, and runs a small publishing house. GEORGI MEDAROV – Georgi Medarov is a PhD candidate in Sociology at the University of Sofia, Bulgaria. He is also a member of New Left Perspectives.